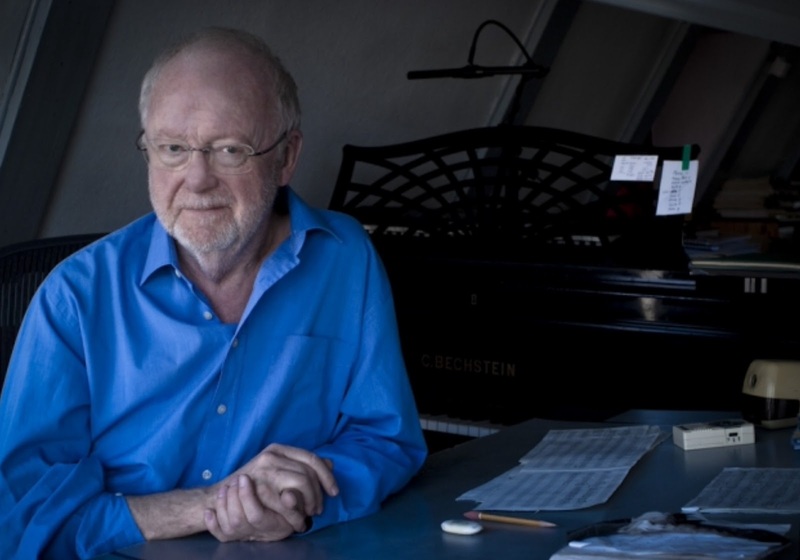 Now 76, Dutch composer Louis Andriessen is philosophical about the past and the future when interviewed on BBC Radio 3 about the series of concerts devoted to his music at London's Barbican Centre and the Guildhall School of Music & Drama's Milton Court nearby. He doesn't think of the series (which took place on 9, 12 and 13 February) as a retrospective since much of the work played is "recent" -- with a 60-year composing career behind him, he regards anything written after 2000 as recent. He listens to this work in terms of what he can do better for the next composition, recognising, though, that there might not be "too many years left" to write. But he adds with a chuckle: "You never know of course -- maybe Elliott Carter." 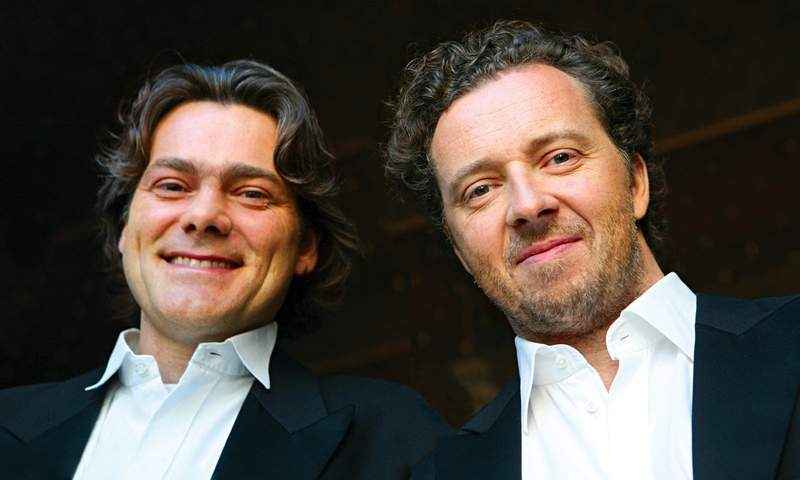 In La Passione, Andriessen’s 2002 song-cycle on texts by the Italian poet Dino Campana (1885-1932), the two soloists, singer and violinist, are both accomplices and adversaries. Though stylistically and formally the work has more in common with Stravinsky than with Bach, there is a nod in the direction of the latter’s Passions in the quasi-obbligato function of the violin part, which, in Andriessen’s words, ‘shadows the voice in a diabolic way, exploring the threatening nature of much of the poetry, like the world of a Bosch painting'. For the full Opera Today review, go here.. The full concert is available for the next 18 days on the BBC Radio 3 iPlayer, go here to listen. The series continued on 12 February with the UK premiere of Andriessen's opera La Commedia (available on the BBC iPlayer for 28 days -- go here to listen) and on 13 February with works including De stijl, and the UK premieres of Rose's Horses and Mysterien (available on the BBC iPlayer for 21 days -- go here to listen). 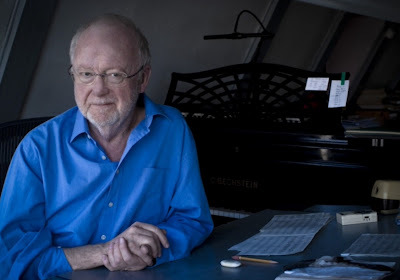 There's lots more about Louis Andriessen on this site (go Andriessen in the Search This Blog box). Bostridge's ability to employ his extensive technical capacities to diverse expressive effect was ever evident. There was not a single song that did not have something to surprise us, or command our attention. 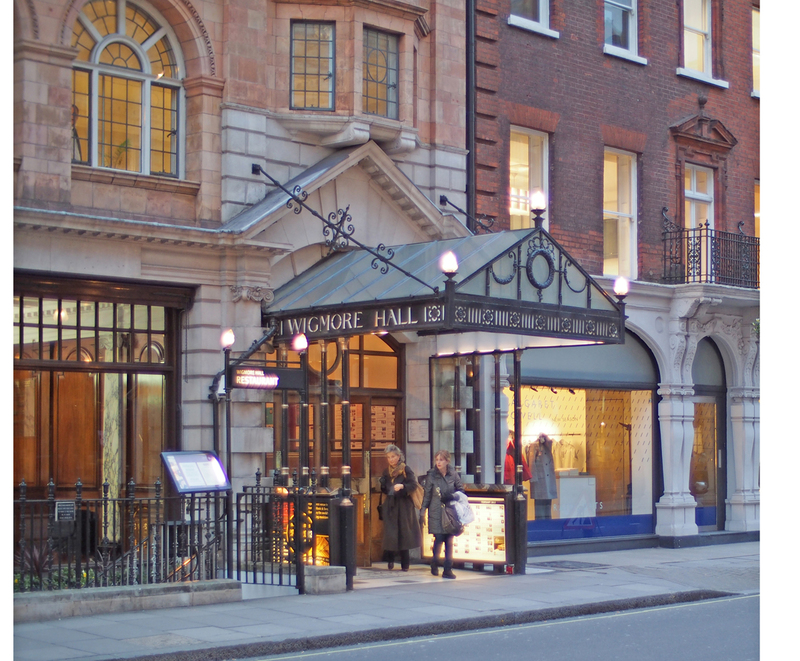 Despite English National Opera being under financial pressure from Arts Council England, forcing ENO's management to propose injurious cuts to its full-time chorus and orchestra, the company is continuing to demonstrate its vitality and quality on stage. For me, however, the strongest reasons to enthuse were musical. Mark Wigglesworth led an excellent account of the score. No, of course it was not Colin Davis; but we do not need to hear unconvincing imitation of past glories. Wigglesworth’s tempi tended to be swifter, although not unreasonably so; crucially, there was no sense of harrying the score, of preventing it from breathing... Moreover, the ENO Orchestra and Chorus, fighting back again where it matters most strongly, were on excellent form throughout. All of the smaller roles were taken well, showing once again how crucial a sense of company is to performance; if only ENO’s management would watch and listen. For Mark Berry's full review at Opera Today, go here. It would be pointless to draw comparisons between Schubert and Rihm because any decent composer is an individual addressing his own time. Rihm is far more creative. His Six Songs from Goethe Lieder were an hommage to Wilhelm Killmayer (born 1927), another giant of modern German music. Prégardien is one of the great Killmayer interpreters. His recording of Killmayer's Hölderlin Lieder is outstanding, a milestone in modern art song. Rihm sets lesser poems from Goethe, whose output was massive This serves to distance the songs from Killmayer's highly poetical mystical settings of Hölderlin, temperamentally very different to Goethe. Some of these poems aren't even very good. "Was wir haben was wir hatten ...und was ist's denm was wir haben." Goethe was not losing his marbles in his old age. The translation pretties the poem up, missing earthy wit. There are Killmayer trademarks in these songs such as the dense clusters that give way to semi-silence, and lines suddenly rise upwards forming the text "Nicht ein Bild !" after "Worte sind der Seele". It's like a private joke between Rihm and Killmayer who have done so much to make us think of the abstract music which words alone can't always express. Six Songs from Goethe Lieder is geniai,warm hearted fun and deserves to be heard more often. a poem from the 1807-21 version of Wilhelm Meister's Lehrjahre. "Ein Wunder ist ein arme Mensch geboren" , which though dramatic doesn't attract many song settings. Again it's a very pointed private joke, it refers to a crazed man, wonderstruck by the moon, who wallows in morbid thoughts. Hölderlin all over! Hearing Schubert's famous setting from Wilhelm Meister felt strangely routine. It probably didn't help that Gerhaher had contracted an infection,constricting his voice, as was mentioned several times during the evening. True fans would, I think. have preferred that he'd saved himself for Monday's higher-profile audience-friendly Schumann programme. In Rihm's setting of Goethe's long Harzeisse in Winter (2012), Gerhaher showed what he can do when he's more rehearsed. 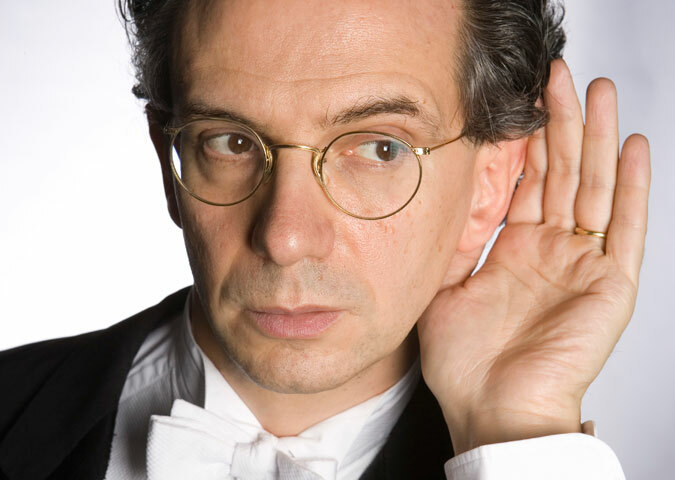 Luisi's new appointment was specially created for him and will potentially expand the role beyond conducting. The idea is to give Florence a greater international presence, reaching out to non-Italian audiences through tours abroad. Luisi's heart has always been in Italy. When James Levinne suddenly fell ill, Luisis came to the rescue at very short notice. The Met him an offer he could not refuse, and at the time, there was speculation that, as Principal Conductor, Luisi would be in line to inherit Levine's mantle. Since Levine shows no signs of moving on, so Luisi is not renewing. In Florence, Luisi will be pretty much his own man, working with people whose views might be a lot closer to his own. A win-win situation all round, for Luisi and for Florence. Luisi is currently Music Director at Zurich Opera, and will become Principal Conductor of the Royal Danish National Symphony Orchestra from 2017. He also guests extensively. Read about his recent London Wozzeck HERE. Chabrier L'étoile ROH - a French Fledermaus ? 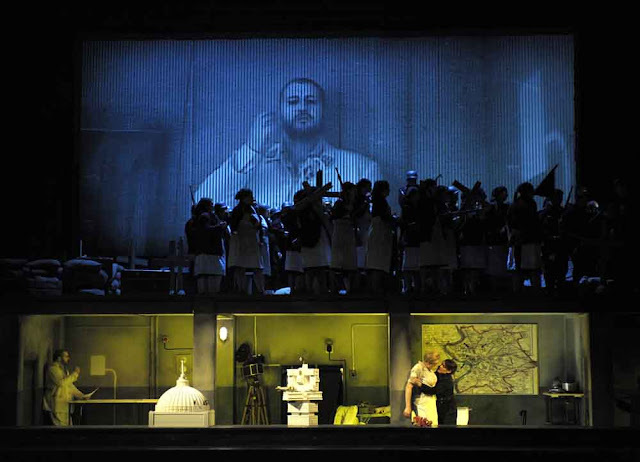 Emmanuel Chabrier's L'étoile at the Royal Opera House: is it a French Die Fledermaus? Johan Strauus's operetta was a sensation in 1874, so perhaps it's not a coincidence that the two works have much in common. Both predicate on mistaken identities, on people trying to be what they are not. Just as champagne features in Die Fledermaus, Chartreuse figures in L'étoile. Alcohol releases inhibitions, anything can happen when you're drunk. But from thereon the operas diverge. Die Fledermaus has a very dark subtext indeed: the sparkling fizz hides venom. Read more about what I've written about it here and here, witha link to a brilliant Nazi era film on the theme. Perhaps L'étoile has a dark side, but its surface shines - like a star - dazzling all before it. Madcap zaniness is its raison d'être. Rather than read too much into it, sit back and enjoy. Lots of people in tonight's audience were guffawing so much they looked like their sides would split. No doubt it could be done as broad-brush slaptick, but I think I prefer director Mariame Clément's approach, which fits much better with Chabrier's music, and its quintessental charm. It also fits in with his piano and orchestral music. While Chabrier adored Wagner, the composers' temperaments were radically different. Wagner fulminates, Chabrier exudes good humour. Chabrier's light, brittle style reminds me of Poulenc, of Les mamelles de Tirésias and of the quirkier song cycles. I hate using national labels, but there's something very French and down to earth in L'étoile, despite the craziness. One doesn't lose proportion even when one's nuts. .
Ouf's kingdom exists entirely in the imagination. Ouf, (Christophe Mortagne) decides that Siroco (Simon Bailey) will die right after him, and they are convinced that they'll both die if something happens to Lazuli (Kate Lindsey). Superstition reigns, not reason or logic. One moment Lazuli faces death, the next he's treated like royalty. Princess Laoula ( Hélène Guilmette) descends, literally, from above in a balloon. "Believe a man can fly" as they say in Superman comics. Laoula and her parents Hérisson de Porc-Epic (what a name - François Piolino and Julie Boulianne) disguise themselves as tradesmen but what they're really out to buy is Ouf. Ouf might be fantasy Persian, but becomes a Saudi Prince, and an Ottoman in a harem with hordes of Turks in white helmets as chorus. Exotic Orientalism to wow the audience, event clad odalisques and a pool from which hot air rises (like the balloon, like the plot ). Lazuli tries to escape in a boat, seen here as a flat painted like a small cruiser complete with "waves". He's lost at sea, brilliantly depicted by having the chorus, lit in the colours of the sea, toss a small boat in their arms. Of course it's not realistic! Realism would be contrary to everything L'étoile stands for. Two English-speaking characters add another dimension, and a monk clad in a white habit operates silently in nearly every scene. He's a Carthusian. Carthusians make Chartreuse. And thus the second act glows in eerie Chatreuse-y green, a huge bottle centre stage from which singers emerge and retreat. Beer goggles, only posher. Kate Lindsey's performance stole the show. She's the star of L'étoile, though singing all round was good, especially the ROH chorus, who revelled in the robust gusto of their parts,. Although the ROH PR machine seems to be building something up for Mark Elder, the conducting was disappointingly unidiomatic. Musically, L'étoile is a series of numbers rather than anything coherent, so there really isn't any need to sound too refined. More punchiness and pugnacious kick, please. The staging, designed by Julia Hansen, replicates stage design in Chabrier's time, with flats painted in cartoon like pastels, pushed in and out on panels. Audiences then knew that theatre was the art of illusion. "Realism" is a curse beaten into modern audiences who watch too much TV. Claire Seymour will be writing a proper review in Opera Today. 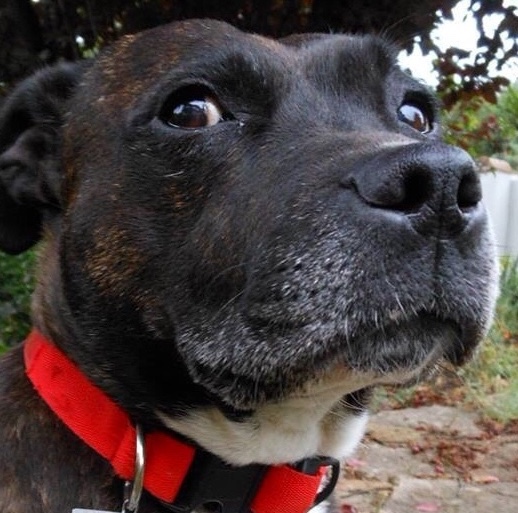 I had a lovely time - gosh it's fun not to have to think too hard for a change!